In the shocking season 5 finale of Game of Thrones, Jon "Spoiler Warning" Snow is stabbed to death by his pals in the Night's Watch after being tricked by the promise of Benjen. Many commentators have seen this as an allegory for fandom being enticed and led astray by Benjen-related theories, only to be betrayed by the cruel knife-wielding mob of D&D and their master GRRM. This may be true, but there is still a story to tell. How does Jon Snow survive? As the hero of the story, it's clear that he isn't really dead, so the seeds for his survival must already have been sewn. The differences between the book and the show actually point the viewer in the only way Snow could still live. As a Stark, Jon Snow is a powerful warg, able to plant his mind into any creature he deems fit. The books made it clear that even after death, a warg could live on in the mind of an animal as happens to several wildling wargs. It seems pretty clear then, that Jon Snow is going to warg into his direwolf, Ghost. In the books he is often connected via dreams to Ghost, and his last word as he lies dying is "Ghost". Television shows are different though. It would be difficult to have the main character be a wolf (this isn't Disney after all!). Additionally if Jon comes back to life straight away it would be impossible to hide the fact the actor is still on set. The showmakers have cleverly set up the solution in front of our very eyes. What's Jon's last words? It's not "Ghost" as per the book. No, it is "Olly". This proves that instead of warging into his direwolf, Jon has warged into his young squire, Olly. Olly was a character created for the show, a young man that Jon takes under his wing. Why create such a new character unless his purpose is unique to the show? Jon spends most of their time together grooming Olly for command, making him his squire like the previous Lord Commander made Jon his squire. There is a clear career progression in the Night's Watch, and Jon has ensured that Olly is to take over as the new Lord Commander. But why? Could taking over Olly's mind have been Jon's masterplan all along? By stealing Olly's body and ensuring his old body's death, Jon keeps his former power but is now a new, younger Lord Commander. Originally, Jon was to fall in love with Arya, his younger sister. Many have assumed that this was an abandoned plot idea due to the final characters having such wildly differing ages. But what if it wasn't abandoned? 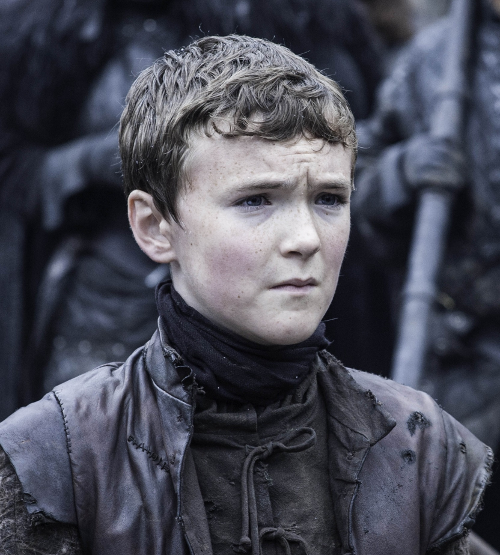 In the body of Olly, Jon is now the perfect age for Arya, and can use the powers of being Lord Commander to have her tracked down and brought to him. Jon Snow, the man we thought to be a hero, is actually revealed to be a soul-stealing Meryn Trant. Will this plan backfire though? Can Arya possibly fall in love with the boy that murdered her brother, or will she murder him back? 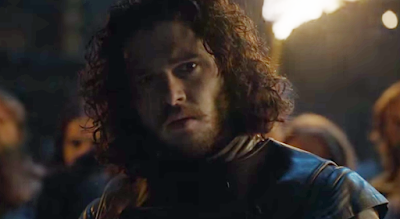 Jon Snow may not be dead, but he might soon be!